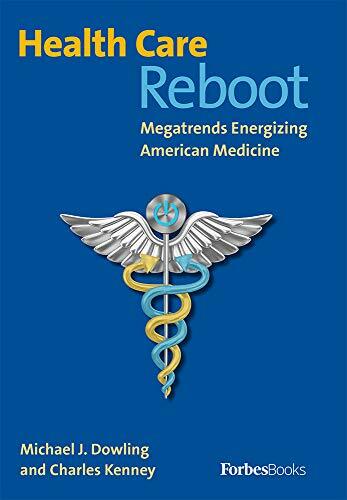 ​In his book Health Care Reboot, Michael Dowling, Northwell Health's CEO, argues that "[the United States] is constructing a solid foundation upon which the new American health care is being erected." To those steeped in news of health care's administrative bloat, under-performing primary care, and low levels of insurance coverage, such a thesis may seem bold, wishful, or downright delusional. But Dowling does not ignore the health care system's need for improvement. Rather, he believes that contemporary trends can foster such improvement if we recognize their value. He cites advances and disruptions in areas such as consolidation, education, payment reform, and mental health to support his progressive view that "better, safer, and more accessible care" is coming. Among those trends is big tech's move into health care, or as Dowling puts it, technology may soon move us into the age of smart medicine. Dowling sees big tech's stride into health care as coming from two fronts: medical technology and information technology. On the medical technology front, the technology available to doctors has accelerated at an unprecedented pace, resulting in tools and techniques that are "the stuff of Star Wars." "Some of the most advanced technology tools ever developed in any field are in use to care for patients. Look at any modern operating room or intensive care unit, and the technology to treat patients and keep them alive is remarkable," writes Dowling. To pick one of many examples, Northwell Health's Cohen Children's Medical Center was the first pediatric program on Long Island to institute ROSA, a "robotic operating surgical assistant." Before ROSA, children suffering epilepsy would have to undergo a full craniotomy to target and monitor areas of seizure activity. With ROSA's assistance, surgeons can get the same results through a minimally invasive procedure, reducing the risk of infection and strain on the patient. Even technology not designed for therapy has been co-opted to play small, yet supportive, roles in quotidian treatment. A study out of the Children's Hospital Los Angeles found that virtual reality can help reduce a child's anxiety and stress during basic procedures such as a blood draw. Dowling characterizes the information technology front as "less impressive," pointing to the well-known difficulties of onboarding electronic health records. Beyond concerns of cybersecurity and interoperability, such systems have caused widespread burnout and dissatisfaction among practitioners thanks to their time consumption and complicated workflows. But progress is being made. Apple recently added a Health Records app to its iPhone, giving patients from 39 health systems access to their medical records. "This existing new reality is that a fat file, that until recently was stored away unavailable to the patient, now sits in its entirety on the patient's phone," writes Dowling. "For patients with chronic conditions who make frequent use of medical services, this leap forward enables them, whether a mile from their doctor's office or a thousand miles, to track and share with their doctor essential data on blood pressure, heart rate, glucose levels, and scores of other important clinical markers." But to succeed, this information must be gatherable, accessible, and understandable to any patient. Big tech will need to streamline such systems for maximum user-friendliness, all while keeping operations on a device with which patients and practitioners are intimately familiar. That device will be the smartphone and tablet. 77 percent of Americans own smartphones. Among Americans over 65 years of age — the demographic most in need of such advancements — 46 percent own a smartphone, a number that is likely to climb. Big tech's vision of integrating information technology with health care is some ways off. Much experimenting must be done, and big tech needs to better collaborate with traditional health care stakeholders. Even so, these incipient steps may lead to a framework where practitioners can gather more data more quickly and with greater ease, while patients become partners, not passive recipients, of their health care team. In the United States, value-based health care exists today as a should-we, could-we debate topic. Big tech's entry into the field could push value-based care closer to practice. As noted on the health care blog Tech Prescribed, integrating improved data acquisition with AI-powered platforms could turn value-based care into a manageable venture. "As a result, we will see the move to VBC accelerate even further as more firms turn a profit through this business model. Good news for docs — this will make you the primary customer for provider technology and really improve your user experience as a side effect," writes Colton Ortolf of Tech Prescribed. 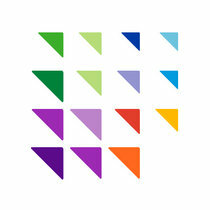 The Northwell Health entity Pharma Ventures was created both in response to collaborating with big pharma and as a means to promote value-based care. Pharma Ventures was designed "to link drug prices to drug performance" and "to serve as a super-site for clinical trials." The goal is to drive down costs while simultaneously improving patient experience. Such an initiative is only possible due to Northwell's integrated systems and system-wide electronic health records. For Dowling, health care in the United States is laying an important foundation for the medicine of tomorrow. We're moving away from the view that health care is something the patient receives at a medical facility. Soon, health care will see the patient take an active role alongside a team of health care providers. "The new American medicine is proactive and has physicians working in teams with nurses and other caregivers to reach out to patients and guide them along a pathway to health and wellbeing," writes Dowling. By creating new machines, proliferating information, and making that information easier to obtain, big tech's dive into health care will be a fundamental element in this upcoming paradigm shift.